After a week and a half of traveling and concertizing around New England, the 30 boys and young men of The Georgia Boy Choir have earned themselves a day off; and what better place to enjoy such a day than in the remarkable expanse and natural beauty of Maine’s Acadia National Park. On Wednesday, the big green bus carried the singers across the state of Vermont, through the White Mountains of New Hampshire, and to the coast of Maine, and the picturesque town of Bar Harbor (pronounced, “Bah Hahbbah”). 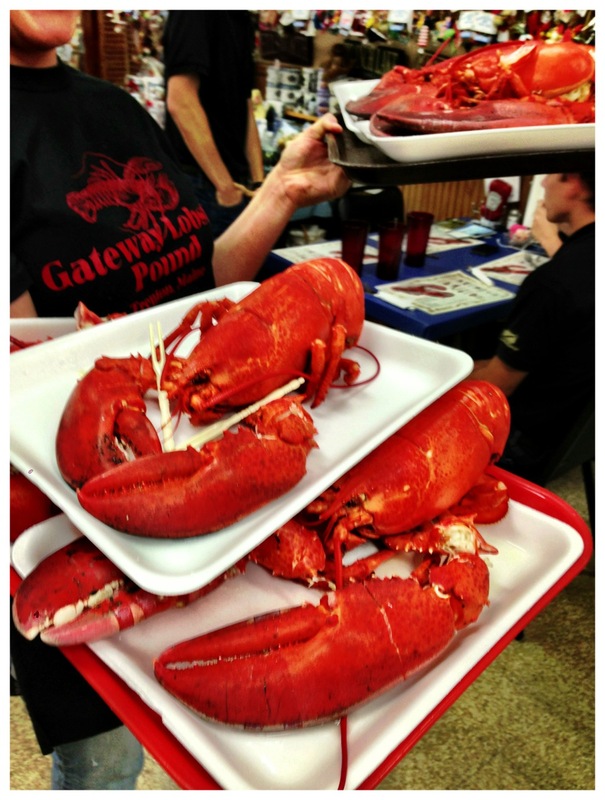 No trip to Maine would be complete without a Lobster Dinner, so this requisite was met at the marvelous Lundt’s Lobster Pound Restaurant. 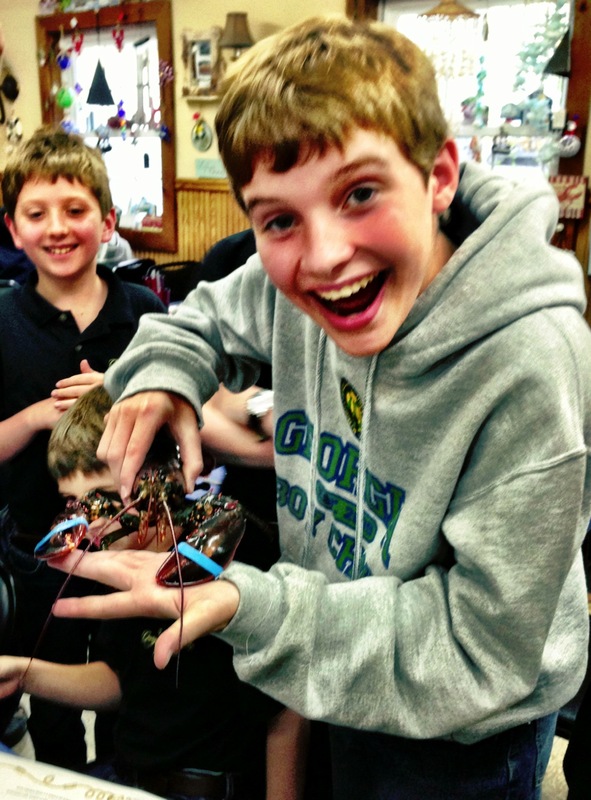 The wonderful staff first brought out some live lobsters for the boys to see and touch before boiling the crustaceans for them to eat. Many had never experienced lobster before, and the reaction was mixed. Most of the boys approved heartily, and the gentlemen in the Young Men’s Ensemble ensured that there was not a scrap of delicious meat left on any of the tables. After sleeping in and enjoying a leisurely breakfast next morning, the young adventurers were off to enjoy the rarified beauty of Acadia. A two-mile hike along the coast afforded them amazing views of stone cliffs protruding out of the ocean and waves crashing and splashing against the rocks. A drive up to the top of Cadillac Mountain allowed them to see for miles around and to gaze down into the sleepy village of Bar Harbor. The Choir’s day of rest concluded with a drive down the coast to the bustling city of Boston. Unfortunately, their arrival from the north coincided with Tropical Storm Andrea’s arrival from the south, but their spirits weren’t dampened, and they really enjoyed their tour of Boston on Friday morning, visiting various historical sites such as the Bunker Hill Memorial, Paul Revere’s house, and the Old North Church. The reason for coming to Boston was to present a concert in the wonderful sanctuary of the Memorial Church on the campus of Harvard University. The torrential rains seemed to have kept some of the audience away, but the gentlemen of The Georgia Boy Choir have been trained to give their best regardless of the size of the audience, the prestige of the venue, or the relative importance of the occasion. Anytime anyone is listening to them sing, it is their most important audience. So the Atlantans did not hold back and delivered one of their finest performances ever. A video of The Georgia Boy Choir singing Te Deum in C by Joseph Haydn in the Harvard Memorial Church can be viewed below. Following the concert, two different audience members offered to take the Choir out for ice cream. The mad dash across Harvard Yard in the midst of a tropical storm, followed by a delicious ice cream cone is a memory the boys are not likely soon to forget.